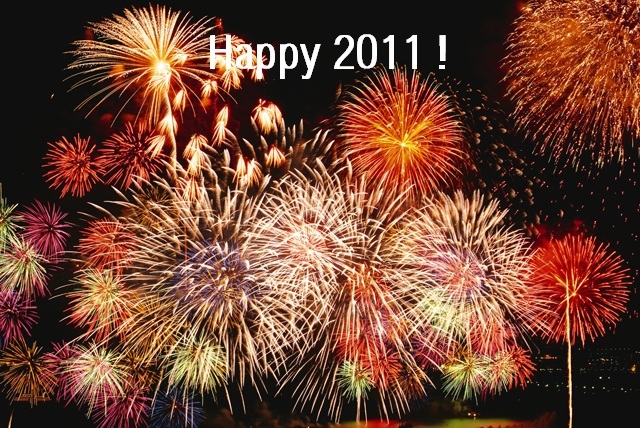 I would like to wish you all the best in 2011! May all your dreams and wished come true! Awesome DJ loving his job! Today I saw this awesome video on Youtube about an ‘old’ DJ loving his job. This post is about the future of my blog: Awesomeness For All. Exams are coming up and as a student, it’s not that easy to spend a lot of time searching the internet for awesomeness to share. I will try to share new posts with you every time I can when I’m not studying. After the exams, I want to make this blog bigger and bigger with new posts every day! I know that this blog still looks a bit empty and weird. But I’m planning to spend some time and money to upgrade my blog after the exames so that I can install some cool plugins, themes, etc to make this blog more attractive and easy to use. First things first, so first I’ll be checking if enough people visit my blog. I that way, I will pay some money to upgrade the blog. So I hope that I will get some visitors soon! I will also try to come up with some new categories. Maybe my visitors can chose a subject then, so feel free to contact me (twitter, e-mail) if you have any suggestions! Shoot! At last, after the exams, I’m planning to post a new subject in the ‘Drinks’ section. As a Belgian, beer is very important for our country. I do have to say that Belgian beer is the beest beer in the world! My goal is to share all these kinds of Belgian beers with my visitors. First I will start with the most popular and best known Belgian beers and later on, I will also post some unknown, exclusive Belgian beers. So it’s a good thing to keep following if you’re planning a trip to Belgium soon! That’s it for now. I can’t wait till my exams are over (will be end january) to take this blog to the next level! As I said before, I’m a huge football fan. Near my town, there is a city called Lier. The football team of Lier (called K. Lierse SK) is currently playing in the first football league of Belgium, called The Jupiler Pro League. Last year, Lierse played in the second league and this year they are struggling to stay in the first league. They do have quality players, but they don’t really have a team, they don’t really fight for the team (in my opinion). Lierse is also known for its great supporters and its Egyptian chairman. Thanks to the chairman, called Maged Samy, the club could buy their striker they needed (Wesley Sonck). During the transfer period, I read in the newspaper that Wesley Sonck was too expensive for a top/subtop club in the Belgian League. But Maged Samy did succeed to bring him to Lierse. Wesley Sonck made an awesome goal in the 1-1 draw against Genk. Watch and enjoy! This is the first time that I’ve created a blog. I want to share all kinds of awesome stuff I find on the internet to the whole world! This awesome stuff ranges from architecture, clothes, drinks, technology, cars,… with a great influence of design. As you can see, I’m still a ‘noob’ at blogging and all this WordPress stuff so please, all help from you experienced bloggers out there is welcome! Feel free to comment! Time to see how this all works and I hope I can give you an update soon of some awesome stuff!